By buying this product you can collect up to 1399 points . Your cart will total 1399 points that can be converted into a voucher of ₱1,399 . The premium glass touchpad comes with an enlarged surface area and an extremely smooth finish, perfect for all your for click, scroll, and multi-touch gesture needs. The fastest gaming display brings you the most vibrant visuals so you never miss a beat. * Actual specification may vary by configurations. Maximize the vision with 4.9 mm ultra-thin bezel and a 82% screen-to-body ratio. An upper placed camera makes your streaming shot at the best angle. Expand your vision across multiple display with HDMI and mini DisplayPort, and enjoy up to 4K (3840x2160) resolution output at 60Hz for some extra productivity and fun. Nothing is perfect, but closing in on perfection is as close as it gets. 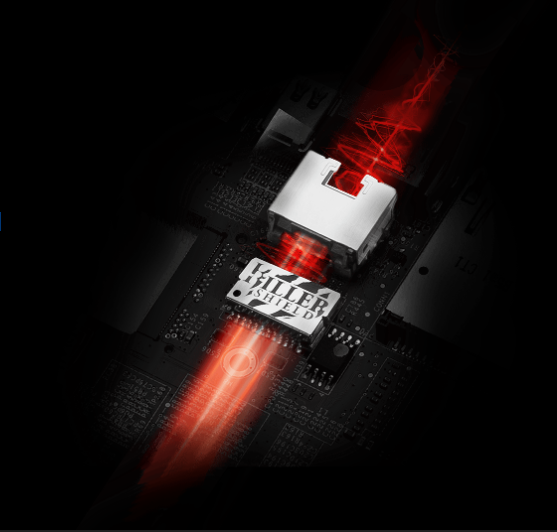 MSI True Color Technology, spawned a new height for the display technology. Each display undergoes thorough examinations and extensive factory-calibration process, guaranteeing exceptional color fidelity of close to 100% sRGB. The newly designed Whirlwind Blade fans effectively increase air pressure and airflow at the same RPM. Independent thermal solution for both CPU and GPU ensures the best gaming performance, even under extreme loads. The GS series fulfill your diverse portability needs. 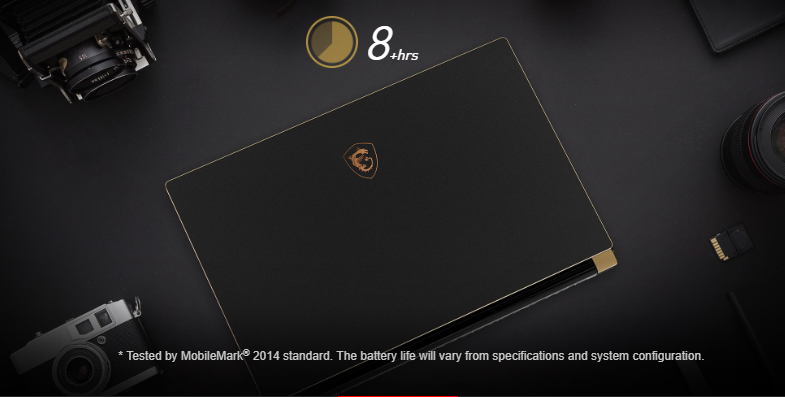 The new battery design allows up to eight hours of use, giving you uninterrupted productivity and entertainment. A slim laptop comes with a even slimmer power adapter - The last piece of the puzzle to ultimate portability. The latest and fastest interface Thunderbolt 3 supports up to 40Gbps data transfer rates and 4K displays with daisy chain capabilities. Its USB USB3.1 Gen2 ultra speed interface supports up to 5V and 3A current output for charging. Switch between the best performance or extended battery life with the exclusive MSI “SHIFT” to meet all scenario. *toggled through Dragon Center or Fn+F7 hotkey. First ever passive radiator design on laptop speakers with stunning audio bass! Enjoy your games and music with the world-class Dynaudio sound system, devoted to “Authentic Fidelity” with demanding standard and often applied by German cars. Fill the room with true-to-life quality sound without extra speakers and wires. Enhance in-game 3D surround sound and make finite control over your music, movies, and conference calls. The world's 1st audio solution to bring the 7.1 sound to a regular stereo headset. With audio algorithms improving 3D sound field drastically over HDMI and USB output, you can now enjoy breathtaking VR experience with 3D audio all together. Monitor and optimize through various customization and freeing system memories to prioritize in-game performance. Suit up with cool look by lightening up the RGB backlit keyboard. Transform your keyboard into a high technology firearm by combining multiple keys into one key command, and sync across all SteelSeries gears. Users now have the ability to backup, share, and sync your configuration profiles through the SteelSeries CloudSync across all your platforms. Simply log in with your SteelSeries ID and all your configurations will be available whenever you are. The Steel Series Engine 3 was created as a unified software suite for SteelSeries hardware catalog going forward. Currently it works with the device of keyboard, headset, and mouse. SteelSeries GameSense talks directly to your game and shall grant you the capability in playing games more intuitively. Through backlit color and LED brightness of the keyboard, users may receive real time game stats like ammo levels, health levels, tool durability, and take immediate actions to respond to these changes, gaining full control during gameplays.